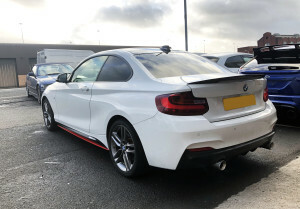 We received a call saying that the items he had delivered to him were of great quality and fitment - this F22 is now sporting our MStyle carbon fibre front splitter, diffuser and boot lip pairing up nicely with extensions and vinyls. Not only can we deliver to the UK and overseas, we also fit a vast range of styling and tuning parts at our workshop in Essex. We're delighted that after years in the aftermarket automotive industry, we can still help to transform customers vehicles and help them get closer to their dream car! 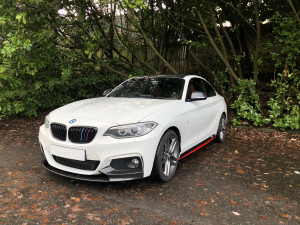 To view our product range, visit https://www.mstyle.co.uk or if you just need some advice regarding you BMW, feel free to give us a call on 0208 598 9115.